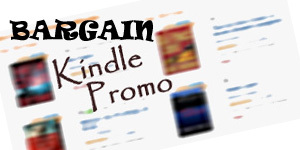 Find new postings below – several times a week – for the newest Bargain (under $5) Kindle Christian Fiction available! Sub-genres from fantasy, futuristic, romance, suspense and more. Featured Christian eBooks may also include Free Kindle Christian Fiction, Nonfiction and Bargain Kindle Christian Fiction and Nonfiction. If you like this content, please like me on Facebook as well! Hidden Thrones by Russ Scalzo. $0.99 on 11-17-16 A new award winning series from author Russ Scalzo. A supernatural thriller. A titanic clash between good and evil. 4.8 average out of 5 stars over 36 reviews. to live, have a bed mate, and stay in good standing with their folks. rocking his already shaky world. of hope for the first time in years. But will the change last? have the patience and faith to make their second chance possible? For fans of inspirational western romance authors Kimberly Krey, Becky Wade, and Denise Hunter. finds there is purpose in life here and not just clouds. Christian lives will have their worlds collide in a dramatic way. Robin Finley wants one thing: to return to her California home. Instead, she’s stuck in a little Wisconsin town with a strange uncle. mother’s mysterious past–before time runs out. Clean inspirational Christian romantic suspense for readers 13 and up. The Heart Is Deceitful above All Things by J.A. Miller. $2.99 on 10-26-15 Ella Davies lives an unhappy life in a small settlement on one of the remotest islands in the world. Haunted by past tragedy and burdened by ongoing struggles, she flees into the forest every day to a secret place that no one else knows about, where she cries out to God for deliverance. And then one gray morning, a storm blows a wayward ship onto the beach. The only surviving crew member, a mysterious young man named Matthew Gethin, claims to be a prophet with healing powers. As he turns the settlement upside down, Ella desperately hopes that God has at last answered her prayers, but she finds that clearly discerning the will of God is difficult. As conflicts arise, she makes a fateful decision that will change her life forever and reveal, once and for all, what she has truly sought. The Cub´s Mistress (The Lion of Judah Book 1) by by S. Bohstrom and E. Bohstrom. $2.99 on 10-26-15 Can a Levite priest who has dedicated his life to the service of God resist the consuming flame of passion of the beautiful and married Miriam? Found on the doorstep of a Levite family as an infant, this is the story of Moses, a man of mysterious origins, engulfed by his inner conflict between humanity and the divine. A fatal encounter with Miriam amid the columns of Solomon´s Temple, lights a fire of passion which completely consumes him and changes the course of his life. YIELD (Children of the Burning Heart Book 1) by J.R. Pierce. $1.99 on 10-10-15 Giving up isn’t an option. Following a car crash, Chase McKinney wakes in a swirling mist and witnesses the murder of children via a three-sided portal into another world. He steps through in search of young men called Chosen to help track the killer and child-stealer, Ancient Piper. But when Chase finds things sometimes pass through him and he can fly, it’s clear to him different rules govern. And when he finally locates the Chosen, he soon learns he must survive this world, with its circa 1900s technology wed to supernatural dangers. For God has a plan for him beyond rescuing children—a seemingly irrational plan to experience life more abundantly. Chase just wants to get back to his wife and family and fix the damage he caused obsessing over his job. But to do so means relying on young Shadowboxer—a leader who second-guesses himself—and learn a difficult lesson from the last person he would expect to see in this bizarre place. He and the Chosen must also sail to a deadly beachhead and a fortress-turned-prison. Because there, a master deceiver plots to establish a world opposed to God, and brainwashed children are only one factor in his death campaign against God-followers. Meanwhile, Chase’s body lies in a coma. Can his consciousness reunite with it? Or will one obstacle be too much to overcome? Himself. Control or give up control? Chase must choose and perhaps die in the choosing. Or, maybe worse, he might live—unchanged. AURA: Book One Of The Senses Novels by K M Aul. $0.99 on 10-10-15 Giving up isn’t an option. A sweeping epic that crosses the range of human emotion and perception. Our world stands at the crossroads. An enemy is coming. An enemy so ancient that time itself becomes meaningless. Six most unlikely heroes are all that stand between life and the total desolation of our world, perhaps the universe. Six that will defend us, fight for us, regardless of the consequences to themselves. No one else can do it, no one else knows what is coming. Their reality is not our reality, and that may be our only salvation. 5.0 out of 5 stars Mind-Bending and Fast-Paced Read! K.M. Aul’s “AURA” is a poignant and surreal analysis of the fickle nature of perception and reality. This author has expertly crafted a highly-readable Science Fiction novel with an equal mixture of Fantasy and Paranormal elements. The main character is a relatable and sympathetic young man who takes the reader through various stages of his life, beginning from birth to adulthood and beyond. His entire life is fraught with difficulty because he is technically blind and must rely on his “gift” to “see” the world around him. I absolutely loved the thought and detail that went into the writing of this novel. I was very lucky to have read it for free via Kindle Unlimited. KM Aul explains the protagonist’s limitations and philosophical insights in a very unique and well-written manner. The main character is an underdog with superhuman abilities. I don’t want to spoil the book for you so I’ll end with this: “AURA” is a fast-paced novel that is sure to leave you haunted with its mind-bending implications. Highly recommended 4.5/5 stars. The Tangled Web: Book 1 in series ‘The Web of Lies’ by Sylvia Wheatley. $0.99 on 9-2-15 Katherine desperately needs money. In an effort to raise it she chooses and meets a man from a catalogue of eligible men in Alaska. He needs to be gullible so a born again Christian is the obvious choice. He also needs to be well off financially for her to steal from him once they are married. She finds a man, marries him and leaves him straight after the ceremony when a telegram arrives telling her that her mother is dying. Timothy has no idea where she has gone and she thinks she will never see him again. But he finds her in South Africa where she has gone for a holiday and the web of deception grows. So too does Katherine’s knowledge of the Bible and awareness of God, something she does not want and resists. Timothy wants the marriage to continue despite what she has done but does not realise that this would not only give him Katherine but other responsibilities, responsibilities Katherine does not want to force on him..